Find Johns Creek, GA Condos for sale. View Photos, Maps and MLS Data Now! Seven Oaks - Great Opportunity At Johns Creek, In Very Popular Park-Like Community , Fresh Painted Exterior, Newer Roof, 5 Bedroom 5 Full Bath, Open And Bright, Hard Code Stucco, Finished Huge Basement Great For Entertainment, Hard Wood Floor At Entire 1St Floor, Two Story Foyer And Family Room, Close To Shopping And Hospital, Top Ranked Schools, A Must See. MLS#6539893. Landmark Commercial & Residential Properties, Llc. Amberleigh - The Views From This Home Will Not Disappoint. MLS#6539814. Solid Source Realty, Inc..
Thornhill - Your Own Resort On The River! MLS#6539344. Atlanta Fine Homes Sothebys Intl.. Virtual Tour Is Model Example, Not Of Actual Home. MLS#6539371. Ashton Woods Realty, Llc. Virtual Tour Is Model Example, Not Of Actual Home. MLS#6539017. Ashton Woods Realty, Llc. Mayfair - Landscaped Backyard Features Bricked Seating Area & More. MLS#6539401. Compass. 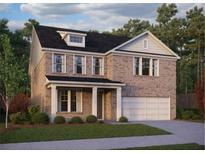 Rivermont Village - Located In District With Top Schools In Fulton Co, This One Is A Must See! ! MLS#6539303. Wealthpoint Realty, Llc..
Sugar Mill - New Windows+Tons Of Updates Thruout! Top Schools & Sought-After S/T N’Hood! MLS#6537943. Keller Williams Rlty, First Atlanta. Mabry Park - Convenient To Ga400, Avalon, Excellent Johns Creek Schools, And Walk To Shopping! MLS#6538706. Crye-Leike Realtors. Medlock Bridge - Buyer Needs To Be Able To Close In 30 Days. MLS#6539121. 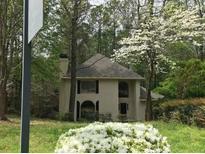 Drake Realty Of Ga, Inc..
Rivermont Village - Swim/Tennis & Nature Trails On River! Must See! MLS#6534554. Chapman Hall Realtors. Falls Of Autry Mill - Enjoy All The Activities Including Swim/Tennis/Clubhouse! MLS#6538190. Ansley Atlanta Real Estate-Atlanta North. Standard View - 2 Marble Fireplaces Both With Double Faces,This Is A Must See. MLS#6537778. Better Way Atlanta Realty Group, Llc. Amberleigh - Gorgeous,Updated Kitchen Is Spacious!Eat In Kitchen Looks Out Onto The Perfect,Level,Grassy Backyard!Painted Brick Fireplace Is Focal Point Of Large, Light Filled Family Room.Living Room And Dining Room Are Well Appointed-Dining Room Features A Butlers Pantry, Which Makes Holiday Meals A Breeze!New Carpet Thruout Entire House!Hardwoods Glisten On Most Of Main Floor!Main Floor Also Offers A Den/Office/Playroom/Computer Room-Whatever Your Family Needs It To Be!Huge Bedrooms!Master Boasts Separate Sitting Room,Also Serves As A Perfect Home Office!Wow MLS#6538153. Compass. Blinds Throughout! Lawncare Incld. In Hoa! MLS#6537280. Lullwater Realty, Inc.. Private Corner Lot W/Zoned Irrigation, Covered Porch, Tankless Water Heater. Lawncare Included In Hoa! MLS#6537283. Lullwater Realty, Inc..
Zoned Irrigation, Tankless Water Heater, Corner Lot, Hoa Includes Lawn Service And Trash! Walk To Church, Shopping, Dining! MLS#6537290. Lullwater Realty, Inc.. Shadow Creek - If You Want Luxury & Have Impeccable Taste This Home Is For You! MLS#6524795. Compass. Energy Star Certified = Up To 20% Energy Savings. Call Today! MLS#6537159. Emerald Properties, Inc..
River Club - No Shortage Of Character & Charm And Too Many Upgrades To List Close To Atlanta Athletic Club, Restaurants, And Shopping. MLS#6536254. Red Barn Cityside. St Ives - Custom Finished Terr Level Has Exer Room, Media Room, Bedroom/Bath & Workshop! You Will Fall In Love! MLS#6536290. Re/Max Center. Doublegate - New Listing In Desirable Johns Creek Area With Gunite Pool/Jacuzzi 2-Story Foyer W/Site Hrdws In All Main Living Areas!Formal Living with Fireplace,Wet Bar,Formal Dining & Open Kitchen W/Keeping Room,Overlooking Screened Back Porch And Pool,Master On Main With Sitting Area & Huge Bath And Closet.3 Additional Bedrooms Upstairs With 2 Full Baths,Bonus Room Up & Half Bath On The Main,Making This House Roomy But Cozy & Awesome For Entertainment Just Perfect For Any Family!Great Features Like Circular Driveway,Updated Bathrooms,Granite Counter Tops, Irrigation Systems Etc! MLS#6536315. Chapman Hall Premier Realtors.